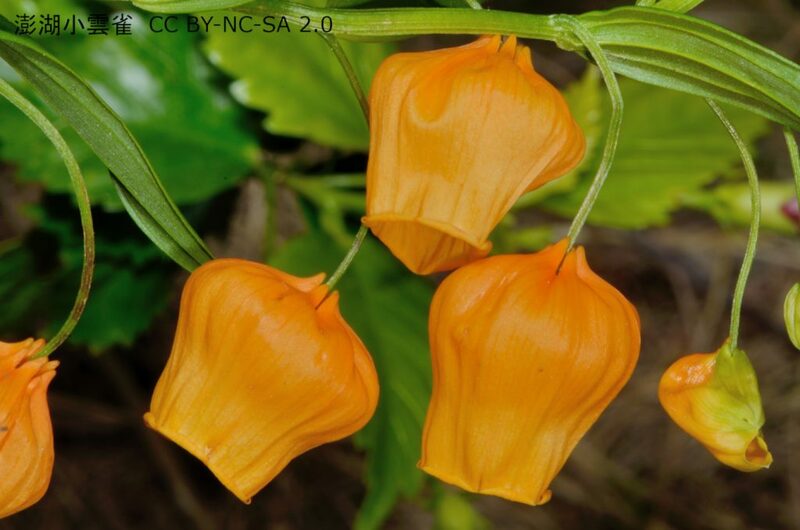 Christmas bells is the name for a colourful South African geophyte (plant with an underground storage organ), Sandersonia aurantiaca, due to the appearance of its bell shaped flowers appearing in December-January. Of course, if you grow this in the UK or North America it will flower mid-summer, so very much a southern hemisphere Christmas plant. This plant is widely available in cultivation, the RHS Plant Finder lists five suppliers and I can find other online sources for the UK alone. For me this is a greenhouse plant coming from a rhizome that needs a dry winter dormant period but plentiful summer water if the weather is hot. In the US it is reported to grow well in the San Fancisco area as an outdoor plant because the summers are not too hot and the winters not too cold. I wonder whether this might be called the Golidlocks of garden plants. For a very detailed account of this species in the wild and cultivation I recommend reading the excellent account on the SANBI web site.